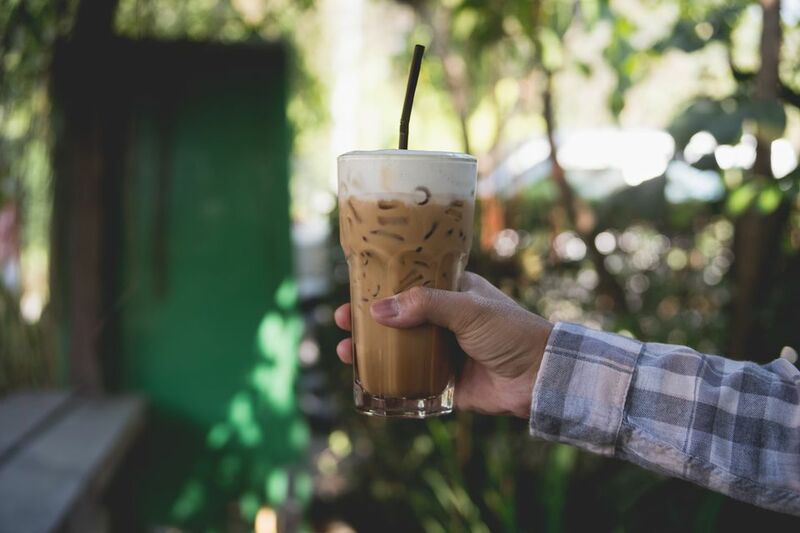 Step aside Starbucks, because this authentic Thai iced coffee is as good (or better), plus it's easy to make and costs pennies a cup. If that's not enough, making it yourself means you get to choose your favorite blend or brand of coffee bean. This drink is sold on all the streets and beaches in Thailand, and it's perfect to quench your thirst on a hot day when served simply over ice. Make a jug of Thai iced coffee and keep it on hand in the refrigerator for whenever the mood strikes you and whenever a jolt of caffeine is in order. Adding your favorite liqueur kicks it up a notch for a delicious after-dinner drink. Pour hot coffee into a glass jug or other container for mixing and pouring. Add sweetened condensed milk to taste and stir well until dissolved. Add a few ice cubes and refrigerate for 1 or more hours. To serve, place a few ice cubes in the bottom of each glass and pour the coffee over. Top each drink with a few tablespoons of the evaporated milk or heavy cream. This iced coffee is excellent as is, or serve with a shot of Cointreau, Bailey's Irish cream, Kahlua, or your favorite liqueur.